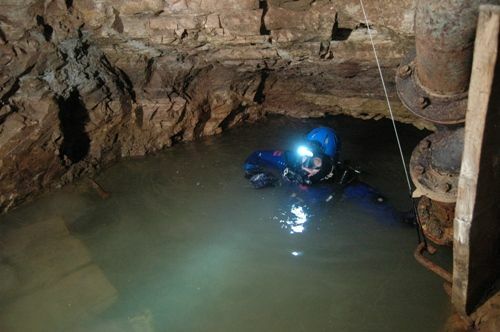 The first Mine diving in Greece is now a fact. 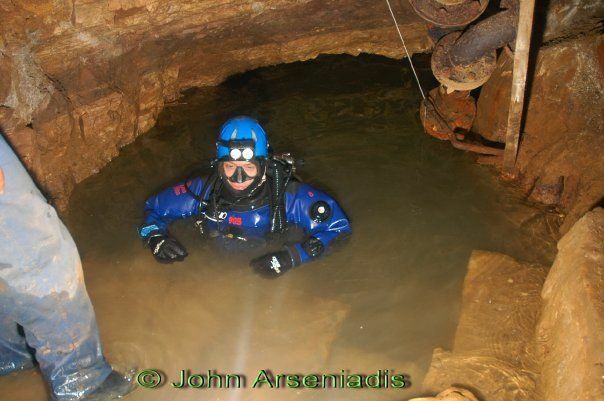 On Jan 23rd 2010 underwater speleologist Argyris Argyriadis (PSAI Cave Instructor) with the support of 5 dry cavers, dived successfully at the historic mines of Lavrio in Greece. 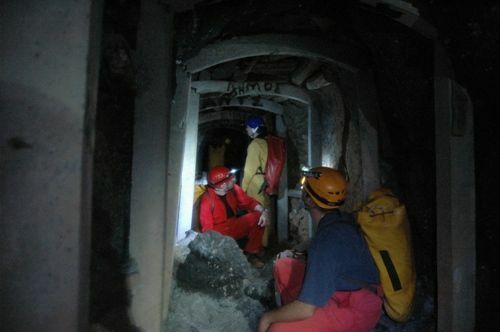 The dive was on the 5th level, 80 meters below surface 400 meters distance from the entrance in the phreatic zone and penetrated into the 6th submerged level of the mine. 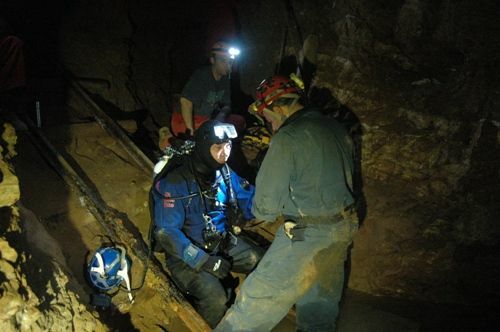 It is the first successful dive in the mines at the lower level. Following this article are some pictures from the dive. Argyris Argyriadis was the push diver. 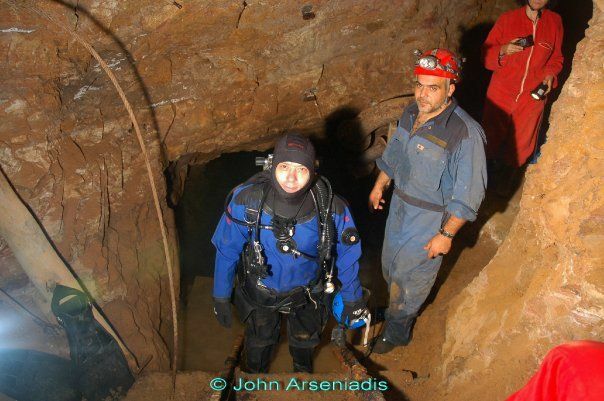 This dive is the first successful mine diving in Greece. 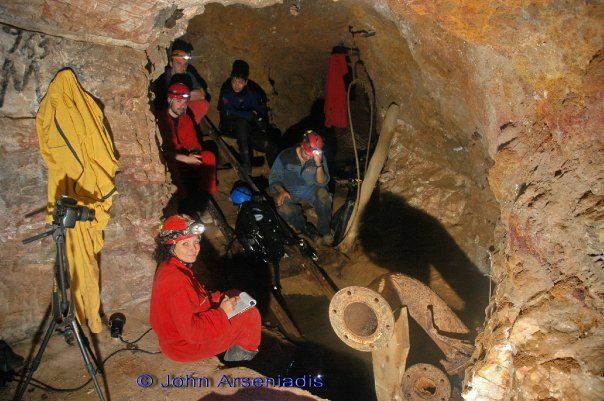 Lavrio mines are a historic place where excavation existed form the era of Ancient Athens 5th century BC. 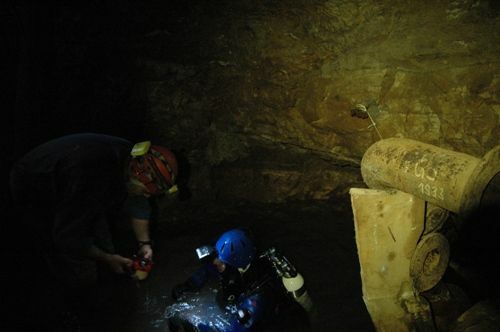 It was a exploratory dive to examine if the submerged section is diveable and the roof is stable. Argyris did two repetitive dives (30min each) and penetrated more than 100 meters. 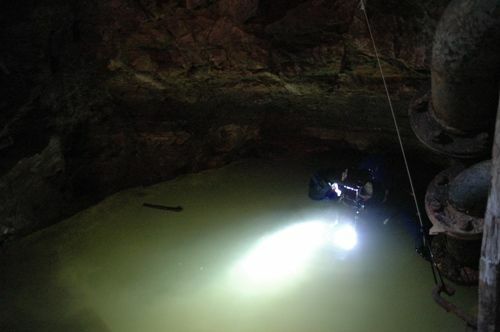 Maximum depth was -4,5 meter, 19 c degree in fresh water. The visibility is low to zero due to the fine grade sediment on the floor. Argyris took some underwater pictures but is not sure about the quality yet. The exploration will continue. 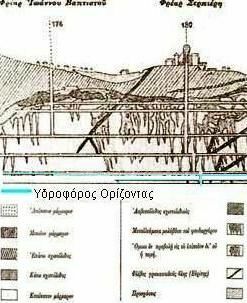 The ancient Greeks from the golden century of Athens at 5th century BC started excavating this area. These were the silver mines that funded Athenian expansionism in the 5th century. 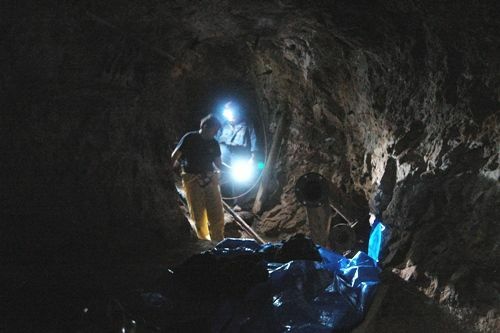 The mines produced roughly 1000 talents a year for the Athenians (worked by 10-20,000 slaves) and were instrumental in the creation of the Athenian phenomenon. 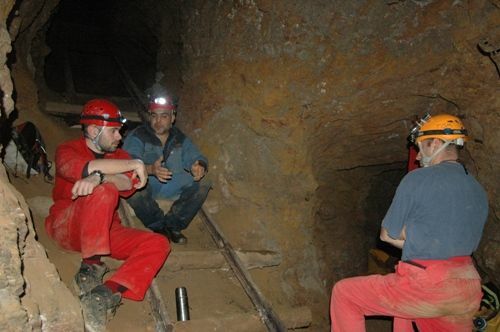 Since then it was during the end of 19th century that the mines operated again from the French Mining Society. 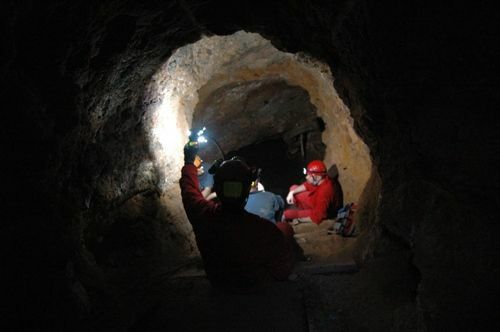 The French mining society used the ancient mines to continue the excavation in the area. Some are still intact. Serpieri, the owner took the ancient mining scrap (SKORIES) and remove all the remaining silver. Nowadays the mine is abandoned and some sections collapsed above water. PHOTO CREDITS: John Arseniadis & Katerina Malama.